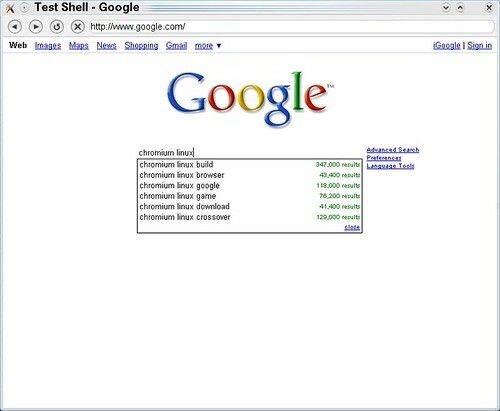 I have been waiting to test Google Chrome on GNU/Linux from the moment I heard about its release. But the initial release only had a version for Windows. They promised to release versions for Mac OS X and GNU/Linux as soon as they port the code. I tried to compile the code following the instructions on the wiki, but all I got was a binary that would run all the unit tests. 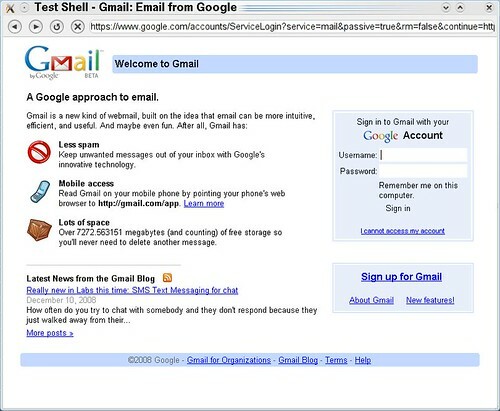 But there was a hint that ‘test_shell’ would give something recognisable. But my earlier tries did not go far as the build failed on the way (I did not use gclient script for building, instead I tried to do svn update). Today finally I got something recognisable. 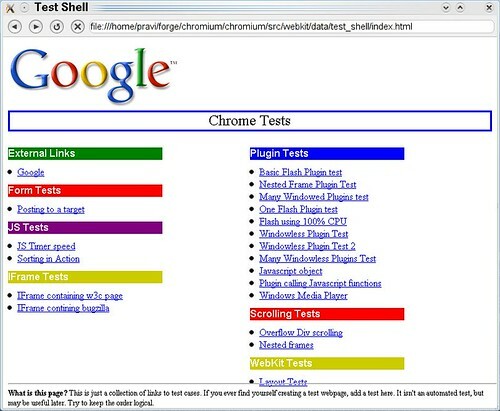 I was happy to see I could browse the web with Chrome finally. 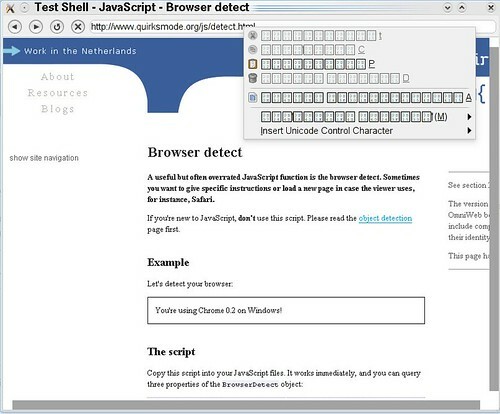 I had earlier tried it with Code Weavers version called cross over chromium, which uses wine to run the Windows version. I was happy to see even gmail was working with it, though it did not render any Malayalam characters. It did not even show boxes or incorrectly rendered characters. I had to install ttf-lucida (included in sun-java6-fonts) as it insisted on this particular font to start. So I think it is not currently using fontconfig, but expect the presence of ttf-lucida in its hard coded path. The title bar and right click menu made an effort to show the Malayalam characters (ml_IN is my locale). Tittle bar came fine as it was handled out of chrome but right click menu showed boxes, better than blank as shown inside the browser. BTW, did you notice it was recognised as Chrome 0.2 on Windows ! Even though there is still long way to go for a working browser, I feel very excited about getting this far.